Black Bear Lodge Blog: The jumbos were biting tonight!! The jumbos were biting tonight!! breakfast and after dinner. Most of the guests are having no problem catching the "unders". 20-50 fish per day is pretty typical for most. Pike fishing is still a bit slow. Below is a snap shot of what I was able to catch in just a couple hours tonight. any live bait!! All the fish were caught on a 1/16th once jig with a red and white tube. (crappie size). 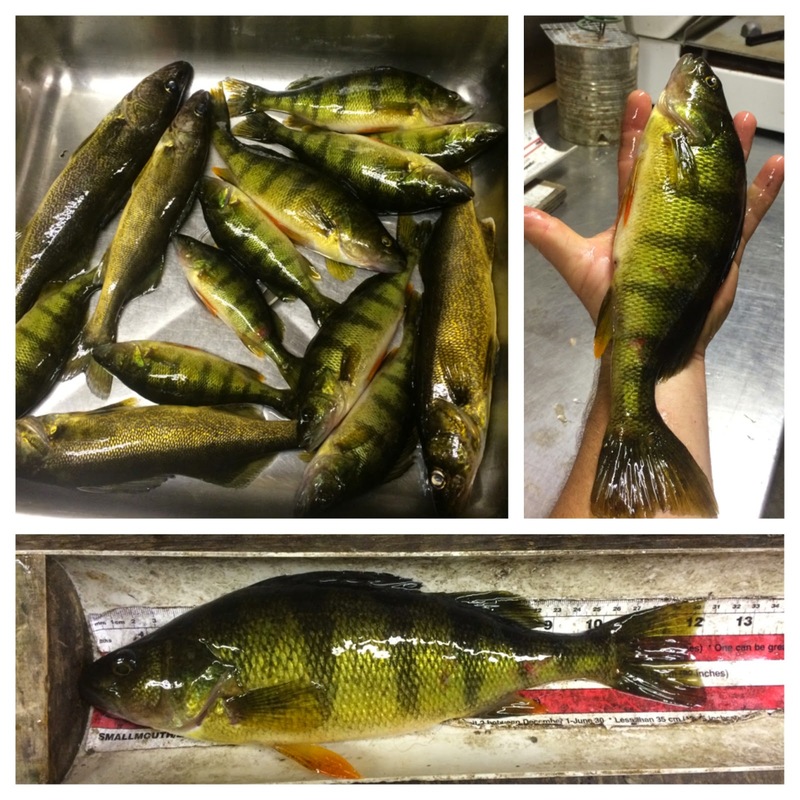 The biggest perch measured 12 inches!! I think I need to start a Lunker Perch Club. P.S. Thanks to Happy from the SFFC for giving me a fresh supply of tube jigs!